Famous Matches and Storylines: After leaving Stampede Wrestling, Albright found success in both UWFI and All Japan. In UWFI, Albright was known for his killer suplexes and wrestled against the main stars Takada and Vader. Albright even submitted Takada with a cross armbreaker, one of the few wrestling to do so in the UWFI. 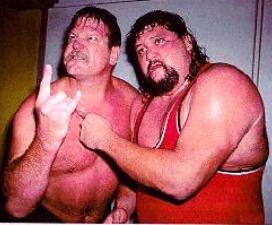 After leaving the UWFI Albright wrestled in All Japan, where he teamed with Stan Hansen to win the All Japan World Tag Team Championship. He also got a shot at the Triple Crown but lost to Misawa. 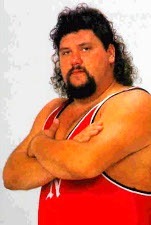 Albright later teamed with Steve Williams and he stayed a part of All Japan until 1999 even though his role in the company slowly diminished as time passed. Other Notes: Albright had a heart attack while wrestling in a match and was pronounced dead soon after being taken out of the ring. His opponent actually rolled Albright on top of him to get the pinfall, not realizing the seriousness of Albright's condition.